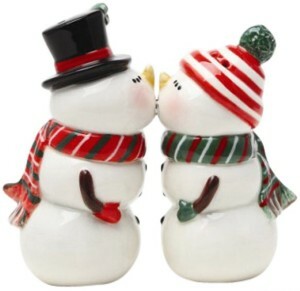 “Kissing” Salt & Pepper Shakers are a great gift for just under $10. Ever since I’ve been spending Thanksgiving with my husband’s family we’ve given each other small, token gifts before we take to the dinner table. It started as my in-laws bringing us host gifts, and grew into a gift exchange. 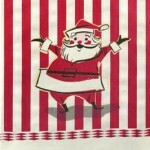 Since Thanksgiving Day is when we also setup the tree and decorate for December, these presents are holiday-themed, such as a Christmas ornament, napkin holder, lawn flag or kitchen decor. 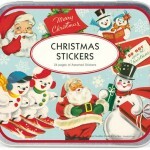 Retro enthusiast that I am, I often try to find classic themed trinkets or other Christmas decor – things that can be put to use immediately. 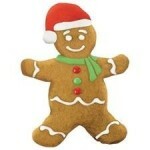 Here are my top 10 picks for this year’s host/hostess or “just because” gifts to give at Thanksgiving. They each cost $15 or less, which makes them easy on the budget, too! 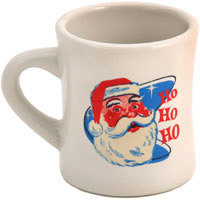 This classic “keeps it hot” diner mug features an exclusive Santa design. 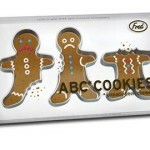 Does your family exchange any traditional gifts during Thanksgiving? Share your traditions below.